Not valid for any ongoing promotion or discounted item. 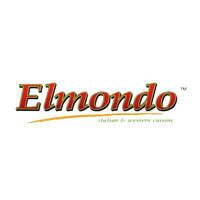 Elmondo Italian & Western Cuisine boasts of a range of well-loved dishes for those who enjoy Italian food. From pastas like macaroni and cheese, spaghetti aglio olio, penne speciale, risotto con funghi, and other Italian favourites like lasagna, antipasto, pizza pepperoni, and many more, one can feast to their heart’s content with these choices.